It’s Wednesday. It’s the middle of the week. The day when you start to think on the weekend. Its good time to change your kitchen into a lounge. So, If you’re the kind of person that likes to redecorate your home and follow the latest trends…read on. Home Design Ideal will give you some tips to turn your kitchen into a lounge. Imagine this: It’s Saturday night and you’re having friends coming over. Things will start with a dinner. Nothing special there. You’ll chat, drink a little and then, if you want more fun you’ll have to go out. That’s a mood killer. 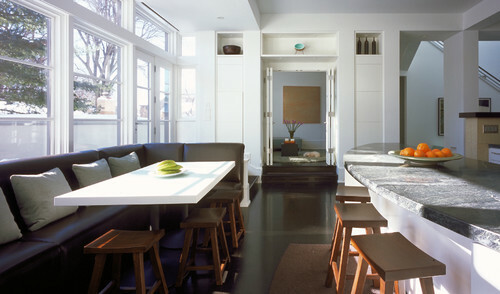 So what if you recreate stylish and modern bar lounge in your kitchen? That’s a good idea isn’t ít? Take a look to these easy but interesting tips..
1 – Choose vivid, bright, trendy colors. Create an ambience full of colors. They’ll make tour house look fresher, relaxing and modern..Chairs, sofas and even the table can lighten up your entire place. 2 – Make everyone comfortable. What’s the point of a lounge if you can´t sit back and relax? Make sure that you have comfortable and trendy sitting areas. If you have room for it…i recommend you to have one. Banquettes are the most traditional and desirable furniture in a lounge. Your friends, and especially you, will love it. Just check if you have the space to create a comfortable walkway. 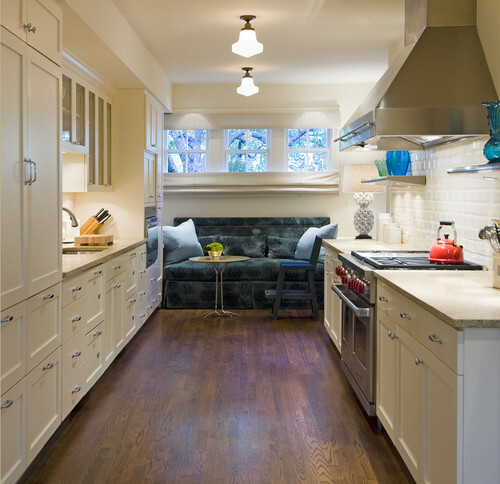 Redesign your kitchen and your living room to make the space look bigger and practical. Get rid of some excess things that you might have laying around. Don’t forget: crowded places aren´t comfortable and desirable.